Let’s decorate the bedroom the DIY way. 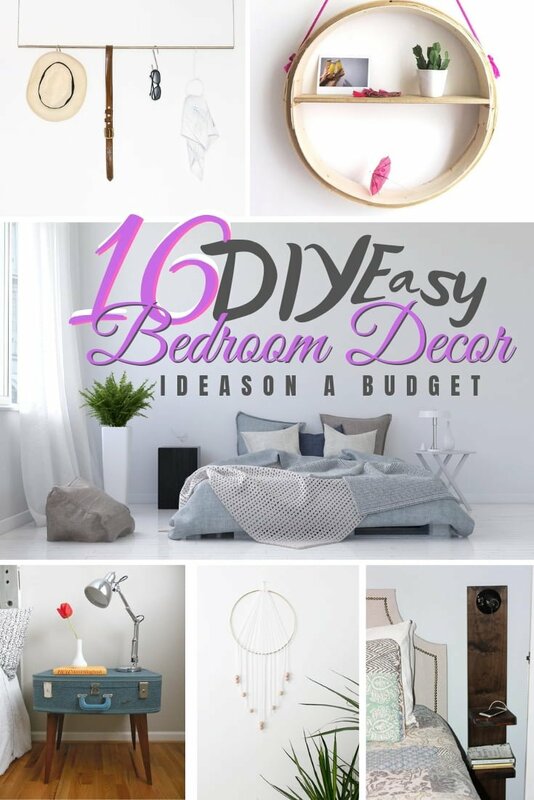 Here are 16 beautiful and easy DIY bedroom decor ideas that you can do on a budget. How well decorated is your bedroom? The answer to that is usually – not enough. And it’s all because your home decor efforts get overwhelmed by the main room of the house, which is the living room. You put all your effort and budget to decorate it, while the other rooms remain lacking visual interest. It’s natural that you want to decorate your most seen place best, but let’s not forget the rest of the home too. Today, we’re paying a long overdue tribute to the bedroom. We want your bedroom to look nice and cozy. 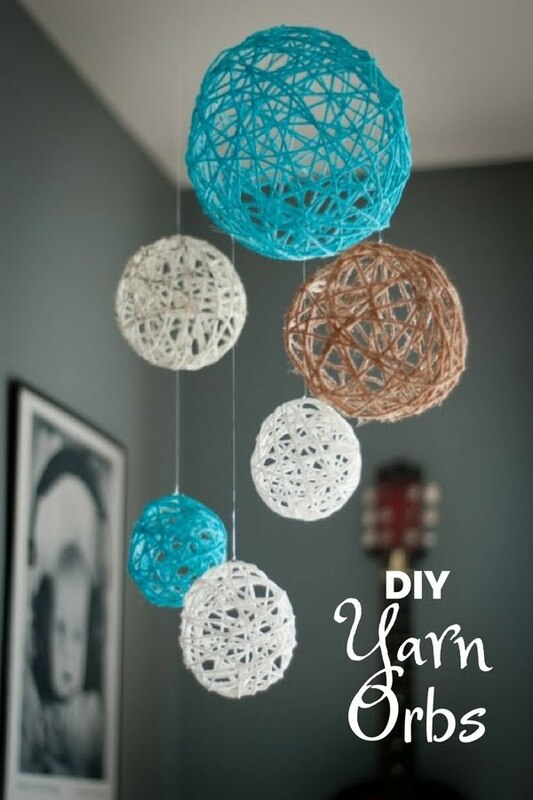 So let’s make it so with these easy DIY decor ideas that you can do without spending much at all! Do you have some spare unoccupied space in your bedroom? You can make use of it by placing a chair there, or better yet, make it a DIY hammock swing chair. It will have an enormous effect in transforming the room decor by adding a lot of interest and a feature to look forward to spending time, like a reading nook or a private space to relax. We had to include a tutorial for a bed canopy because that’s one of the best ways to completely revamp your bedroom decor. A canopy can make the room look cozier, even chic or boho. There’s little doubt about its decor value and many reasons to build it. Whether your bedroom needs a hook rack is for you to decide, but this idea is for something that adds decor value more than it does function (although it is quite useful nonetheless). We want to add a chic accent to the room decor and using attractive vintage door knobs for a hook rack is a great way to do it. Whether it’s for seasonal decor or as a more permanent decoration, colorful yarn orbs add that whimsical accent to your bedroom decor. Hang them from the ceiling or on the wall for pops of color and some vibrant design elements. We’d like to see something more than just a framed picture occupying a wall, so how about this beautiful flower monogram. It’s a very easy decor accent to make, and the impact it brings to the table is very high. 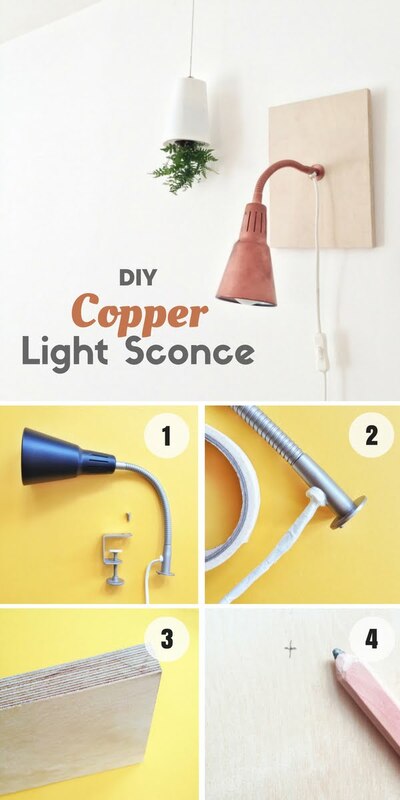 Also, check out our list of great DIY wall decor ideas. The nightstand you can see here is the perfect option for small bedrooms but the warm rustic accent it brings to the room decor will fit any space. The simple yet functional and visually appealing design makes a real decor statement. The whimsy of a suitcase transformed into a side table will quickly become the focal point of your bedroom decor. Try choosing the suitcase in a contrasting color to your main scheme for the best effect. The DIY pebble hanger idea is one of those straightforward yet genius ideas that can make all the difference. Find some empty wall space in your bedroom and attach these pebbles for some whimsical accent. You might want to have a wall clock in your bedroom, and that’s fine, but here’s a different idea for one. Choose your family photos or photos that have sentimental value to you and make them into a DIY clock. Lace patterns can make beautiful decor accents with a boho or chic style quality. You can amplify the effect by highlighting it via a DIY doily lamp. Metallic decor accents have a quality to add some glamour to your style. It doesn’t mean you have to go splurging on table lamps, chandeliers or accent furniture, though. All it takes is a pack of push pins and a picture frame to create beautiful DIY wall art. Speaking of metallic accents, here’s one for a minimalist storage unit. It can be used for some minimal storage space of your accessories or wall hangings. But don’t underestimate the impact on room decor that it may have. Adding decor interest via small decorative shelves is a simple yet handy technique. It doesn’t take much space or effort to install one, but the impact you can make to bedroom decor is quite significant. A wall sconce is a particularly useful item to have installed for when you’d like to read your favorite book before you call it a night. It can add a lot of decor value to the room too. You’ll add more interest and whimsy to your bedroom decor if you introduce some quirky accents such as these adorable book wall shelves. Use metal (as shown) or wooden brackets to install the shelves. Last but not least, one of the more prominent pieces of bedroom decor is a DIY dreamcatcher. It’s the perfect wall art piece for that space above your bed and while there are many ways to make one – this is a modern version.